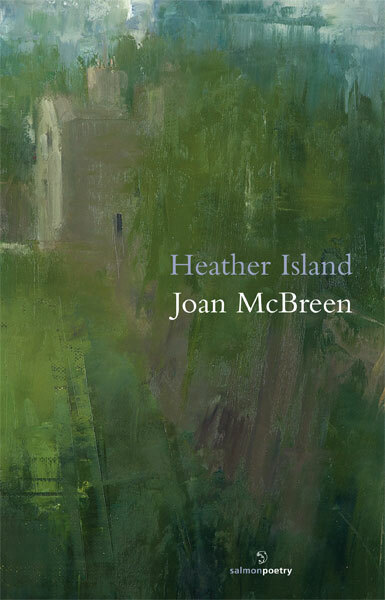 Joan McBreen's 2009 publications include a collection, Heather Island and the anthology The Watchful Heart - A New Generation of Irish Poets - Poems and Essays. Together with her ongoing involvement with Irish literary festivals such as the Yeats Summer School, Clifden Arts Week, Listowel Writers' Week and The Cúirt International Festival of Literature, since 2007 she has been Literary Advisor and co-ordinator of the Oliver St. John Gogarty Literary Festival at Renvyle House Hotel, Connemara, Co. Galway. in water, on a window-sill. McBreen frequently implies a narrative, for example by her choice of the second person, ballad diction (Daughter in July Downpour ), or title ( In Memory of Louis MacNeice ). This slim, focused volume is also inflected by haiku, including the sets Five Poems in Spring and the Omey stanzas, which proceed by the haiku logic of stasis and juxtaposition.